This industry represents 40% of the duties paid to CBP. CBP has found that textile importers are not properly reporting quantity, country of origin, classification, valuation and manufacturer on the import entries. Perform internal post entry reviews to verify data elements reported to CBP. Define supplier documentation requirements to prove country of origin and preferential trade qualification. 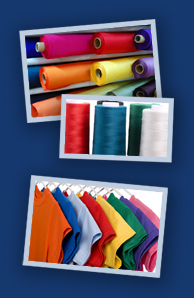 Bottom-line: many textile importers need to develop better internal controls for reporting data to CBP. Let K&A Be Your Solution! Post entry reviews can be a tedious and time-consuming process requiring valuable time and resources. In performing drawback services, we can audit your present import systems for compliance in the areas of classification, value and quantity allowing you to use your precious resources to address country of origin, admissibility, preferential trade programs and recordkeeping issues. Reconciling import information (internal, broker and CBP) to inventory and financial records. Identifying data discrepancies by style or part number- SKU level, vendor, part, value, classification. Resolving data inconsistencies prior to claiming drawback. With the ever growing emphasis on compliance, shouldn't you seek the service of drawback professionals with a proven track record of compliance and systems management?